We have over 50 years of Experience in Lithography, Offset Printing, Thermography, foil stamping, blind embossing, letterpress work, die cutting, and debossing all under the same roof. 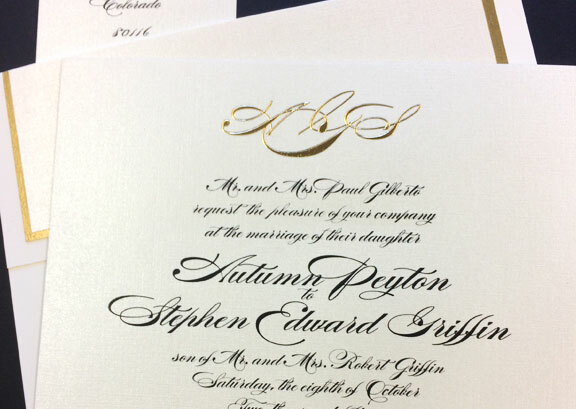 Making high-end invitations is our everyday work. We also do presentation folders, posters, large format printing, mounting, binding, perfect book binding, color brochures, post cards, carbonless forms, numbering, perforating, scoring and mass mailing. We are open on weekends only by appointment. Call our toll free number: (888) (222-7746) ABCPRINTING. We create stunning invitations for weddings, birthdays, baby showers, graduations & so much more. Personalize invitations and announcements to your specifications. Die cutting starts by building a steel-rule die according to your die lines, which you can supply in the form of vector line-art. Raised Printing or Thermography, is used to give a printed image a raised up glossy appearance. 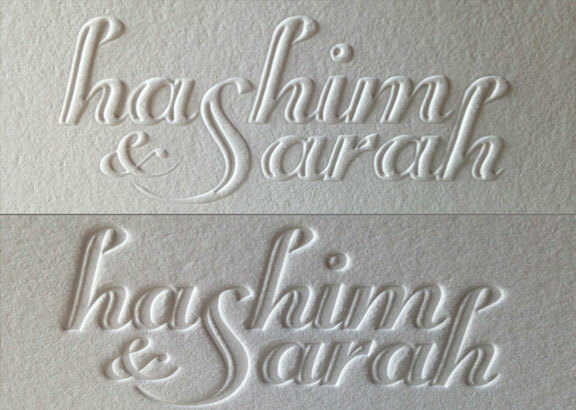 Embossing (top) is when the image is raised on the paper. Debossing (bottom) is the effect that occurs with deep impression letterpress. One of LA's greatest designers, CJ Davidson, will design presentation folders and fabulous marketing materials that will knock your socks off! 10940 Wilshire Boulevard, 16th Fl.